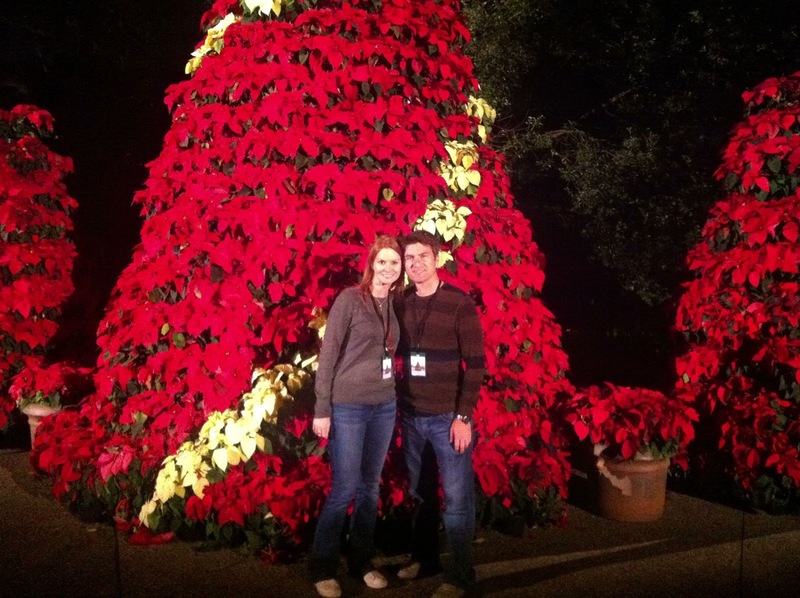 On Friday night, we had the chance to check out the Grand Opening of Busch Gardens Christmas Town. I have been looking forward to this event for a few months now and it blew my expectations out of the water. This was another Yelp Elite event, where we were greeted with VIP passes which got us front of the line access to the roller coasters and two tickets which either got you an adult beverage of your choice or a food item with a non alcoholic beverage. Yelp & Busch Gardens know how to spoil a crowd. With that said, I would go back in a heartbeat without the VIP passes and this blog post is 110% honest. I had to keep reminding myself that I was not at Howl-O-Scream and clowns wouldn't jump out at me. But Cookie Monster did. 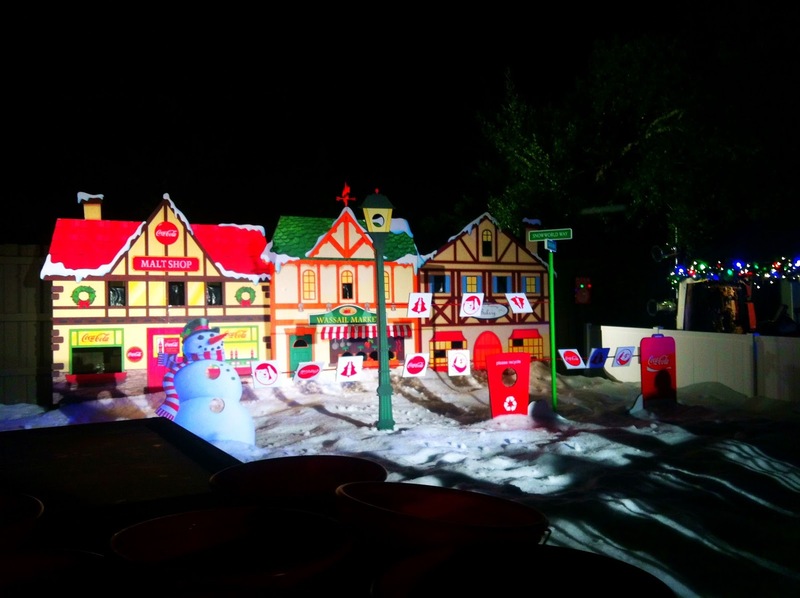 My favorite part of Christmas Town was SnowWorld presented by Coke. I'm a Floridian who has come in contact with snow twice in my life. When I saw the snowball target range, I jumped up and down like a 5 year old, then stood in line for 30 minutes to throw snowballs at targets along with a lot of other 5 year olds (who were actually 5). My hands were freezing afterwards. There was also an area to ride tubes, build snowmen, and other fun snow activities but I left that one for the kids. We did however get a photo with a snowman who were dancing and bobbling all down the streets of SnowWorld. Located just outside of SnowWorld was Christmas Town Village. Vendor after vendor selling holiday gifts, food and drinks such as homemade waffle sundaes, roasted nuts, smore's, candy apples, cider, hot butter rum, etc. The waffle sundae was to die for. You can select from a ton of different toppings, we went for homemade fudge, strawberries, cinnamon ice cream and whipped cream. 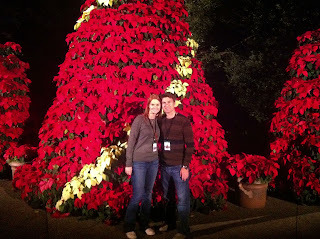 We had an amazing time at Busch Gardens Christmas Town and look forward to making this an annual tradition. 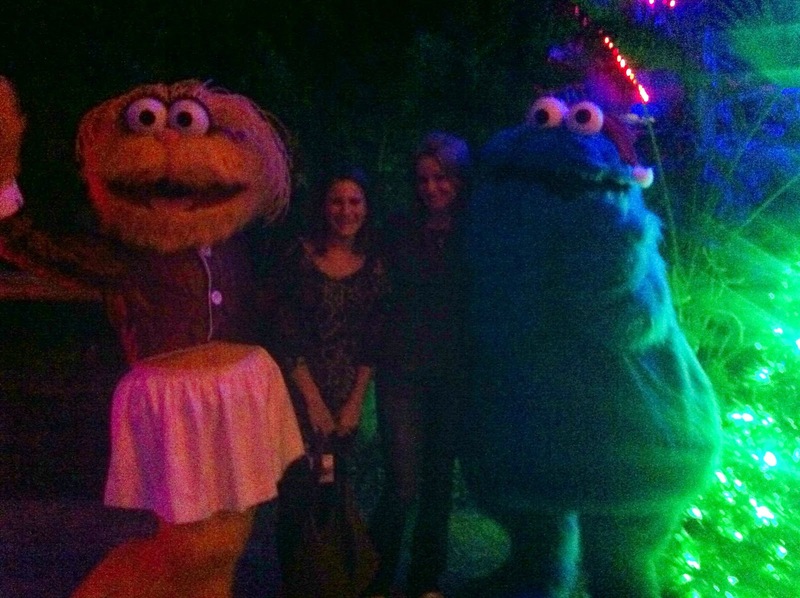 Thank you again to both Yelp and Busch Gardens for another amazing event. Love it! So glad you had fun at the event! I'm glad you had a good time. I LOVED it! I had apples and caramel rum sauce on my waffle - I was already so full from dinner, but didn't want to stop eating it! It was such a great event! I tried to look for you there but didn't see ya! Would it have been fun if you had to pay for everything and didn't get vip access? Yep :) I even stated that in my blog post. We are going back next weekend, paying for everything and no VIP access. My review was an overview of Christmas Town, not on the two roller coasters we rode without having to wait in line. Such fun! Those waffles were deeeelish!